When I was a young, beginning cook (several decades ago!) one of my first kitchen triumphs was learning how to make a Sachertorte—a celebrated Viennese chocolate torte with an apricot filling, coated with a rich chocolate glaze. Recently the memory of this cake served as inspiration for a new recipe. 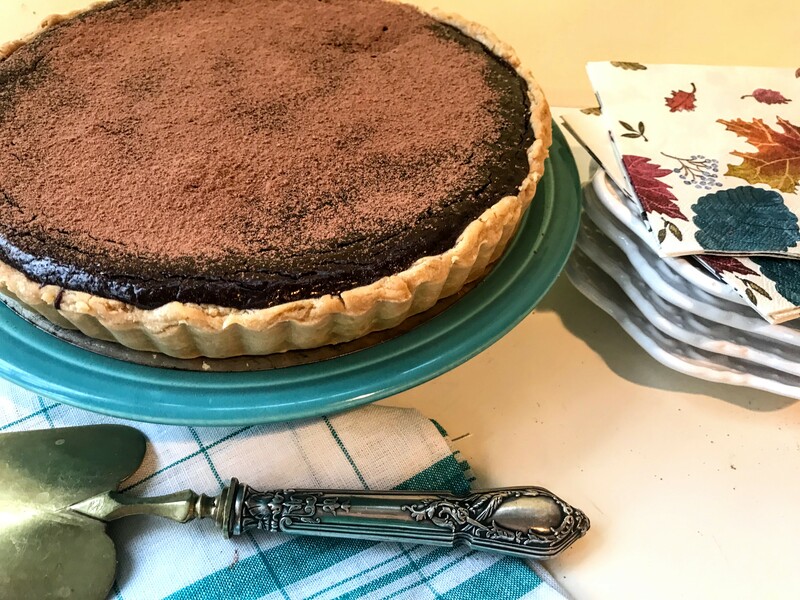 If the pairing of chocolate and apricot was so successful in a cake, why not try it in a tart, I reasoned! It took several tries and quite a few hours in the kitchen to work out the details, but eventually I pulled a glorious shinny dark chocolate and apricot tart from the oven.